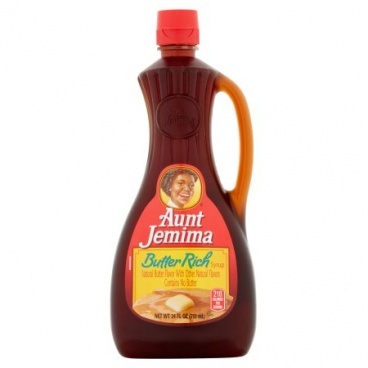 No need to add butter to your pancakes when you top them with Aunt Jemima Butter Rich Syrup. Corn Syrup, High Fructose Corn Syrup, Water, Salt, Cellulose Gum, Natural Butter Flavor With Other Flavors, Natural And Artificial Maple Flavor, Sodium Hexametaphosphate, Sodium Benzoate, And Sorbic Acid (Preservatives), Caramel Color. I have used this before and really like the size it is perfect for my family. They simply are the best.